Soffit Boards Flaking And Need Decorating Again? 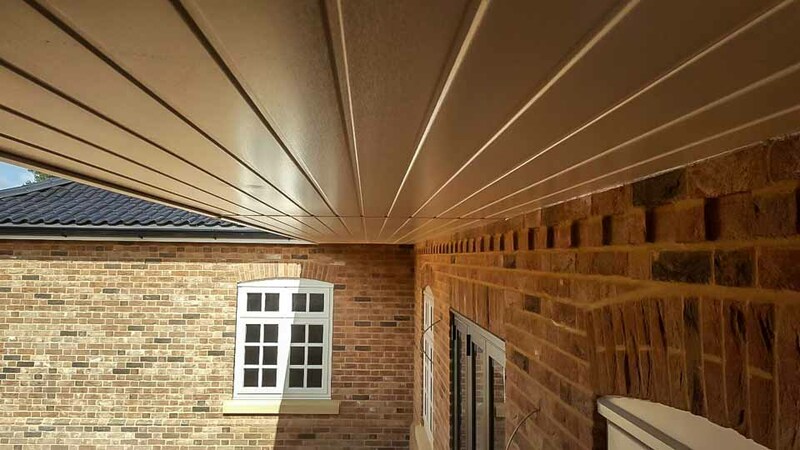 Soffits, in particular deep overhanging soffit boards, are at risk for water damage typically because of overflowing gutters or ice in cold conditions. 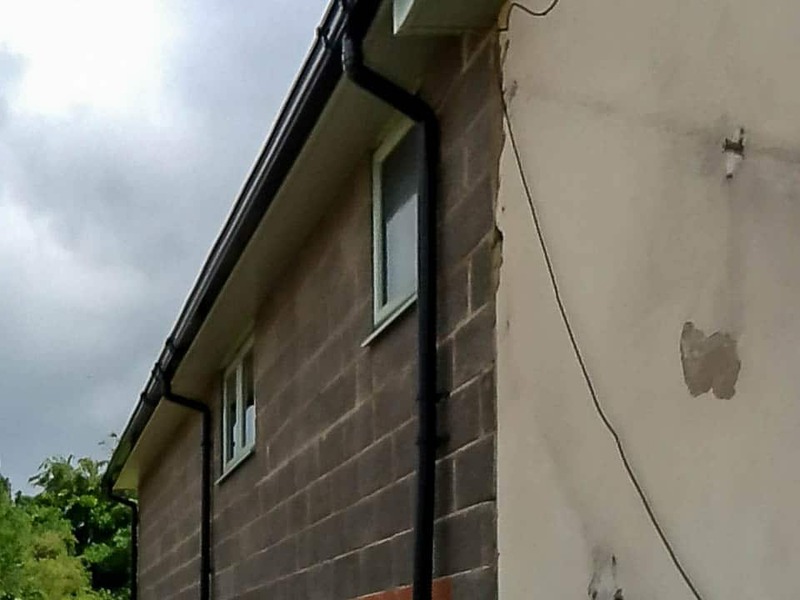 If the roof drip felt edge, which directs water into the guttering, has perished or is damaged, water will typically rot the fascia boards before eventually travelling to the soffit, where it will continue to rot the board & possibly internal ceilings. 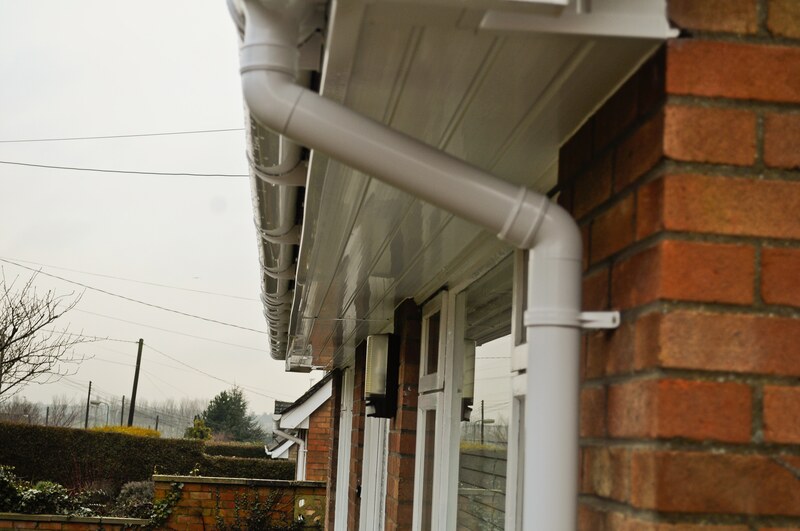 Guttering can pull away from rotting fascia boards and soffits leaving water to penetrate and damage the home’s interior. 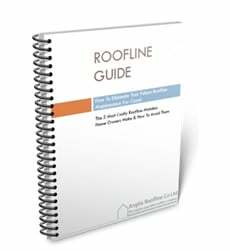 Animals like squirrels, & birds frequently nest in a soffit and could cause damage to the roofline structure as well. 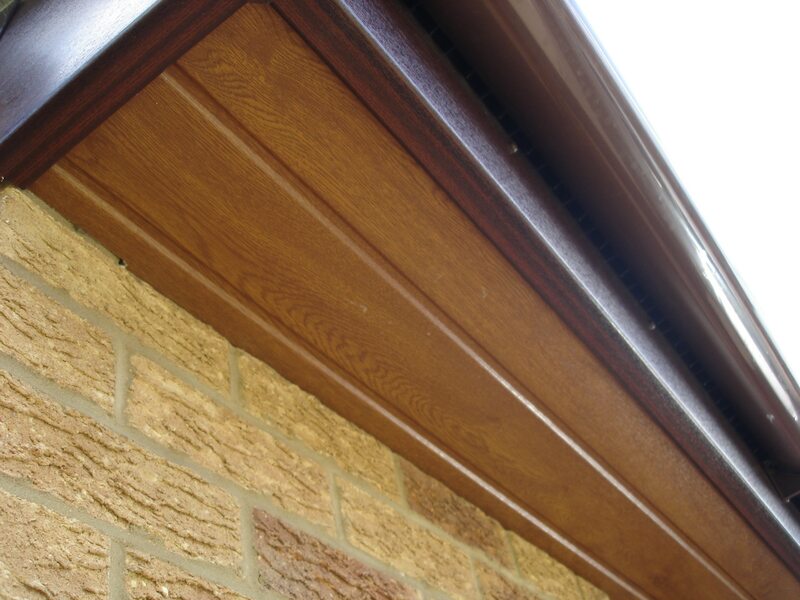 Anglia Roofline replacement services use only high quality uPVC soffit replacements with a 20 year warranty. 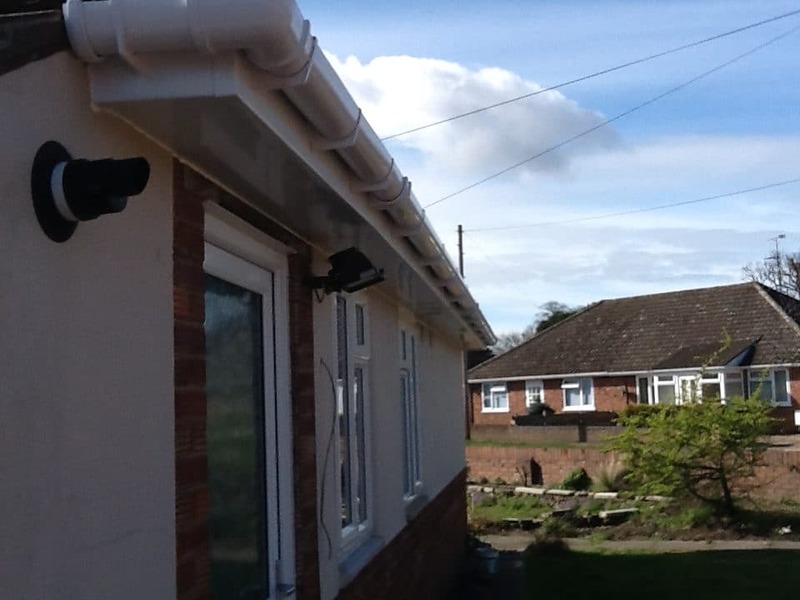 Before installing upvc soffits all timber or cement based asbestos is moved to ensure a good fixing. 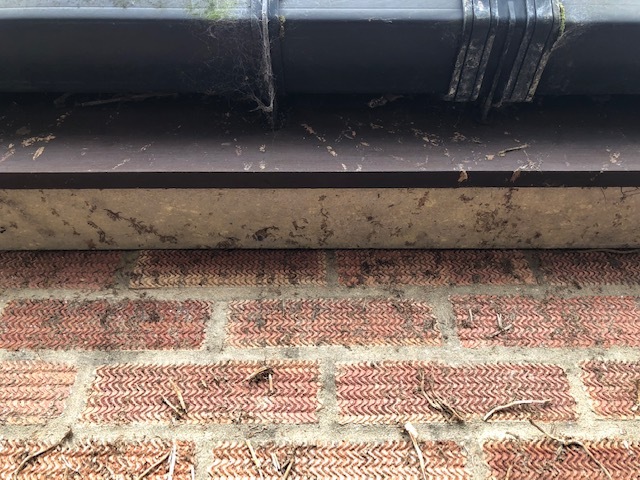 Do We Have Asbestos Soffits? 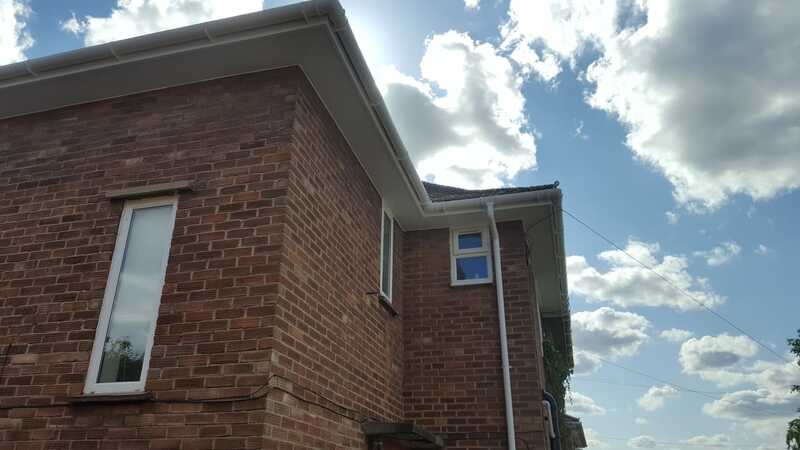 Post 1930 properties are generally built with either plywood, masterboard (a calcium silicate board) or Asbestos Soffits. Asbestos can be either cement based (unlicensed removal) or Asbestos Insulation board which is fibrous & can only be removed by licensed companies. If asbestos may be present, our surveyor will take a sample and a photograph and send these to an approved laboratory for analysis. If the material is cement based asbestos we will remove and dispose of it – if it’s Asbestos Insulation board we can employ a specialist contractor on your behalf to remove it safely. 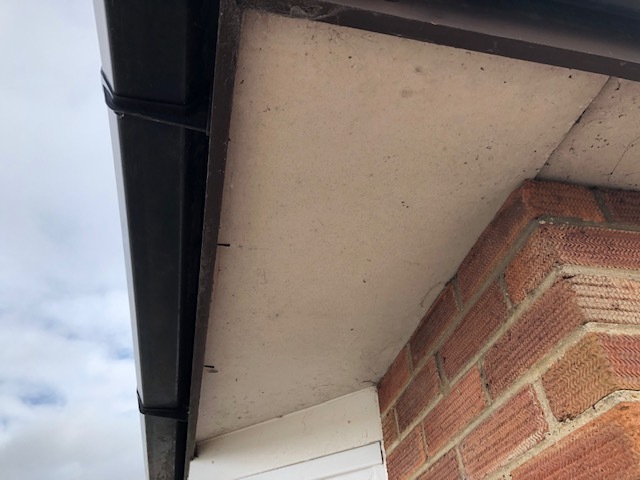 Asbestos soffits where made illegal in 1984, however as a result of the quantity of asbestos warehouses in circulation it was 1999 before it was banned completely.Anglia Roofline replacement services use only high quality uPVC soffit replacements. 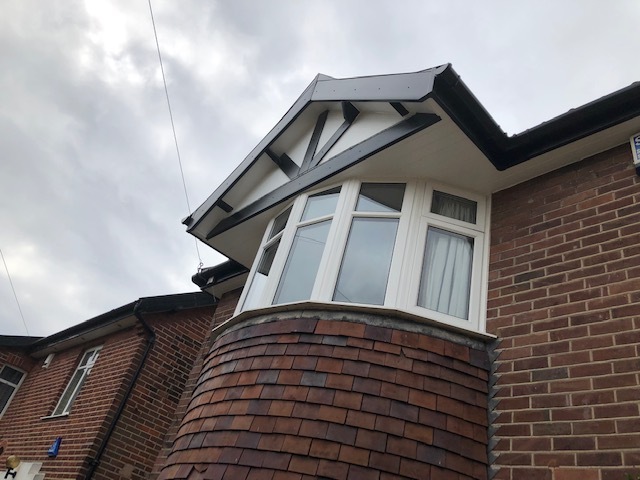 We recommend installing an eaves protection system above the Fascia Board and guttering to maximise the ventilation going in to the attic. 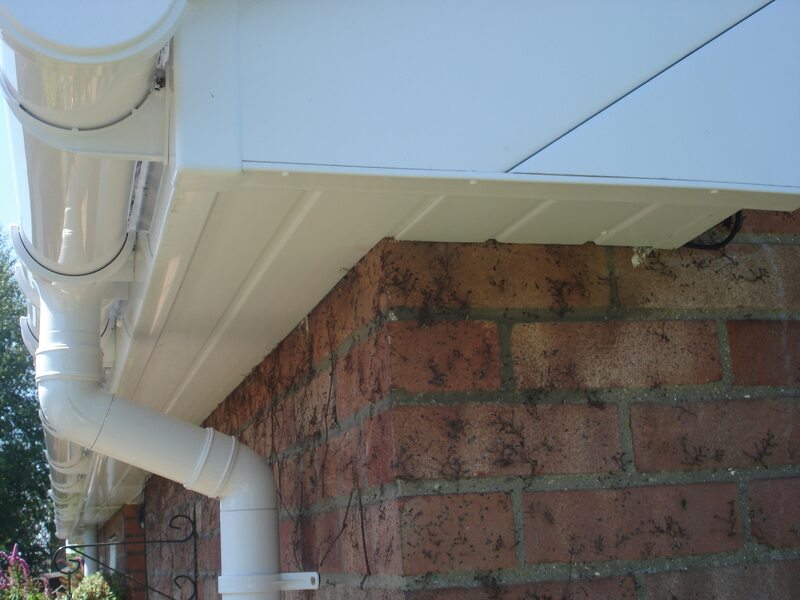 This method that is concealed replaces venting the Soffit, as the grills can be broken by birds or rodents who can punch into the space behind. 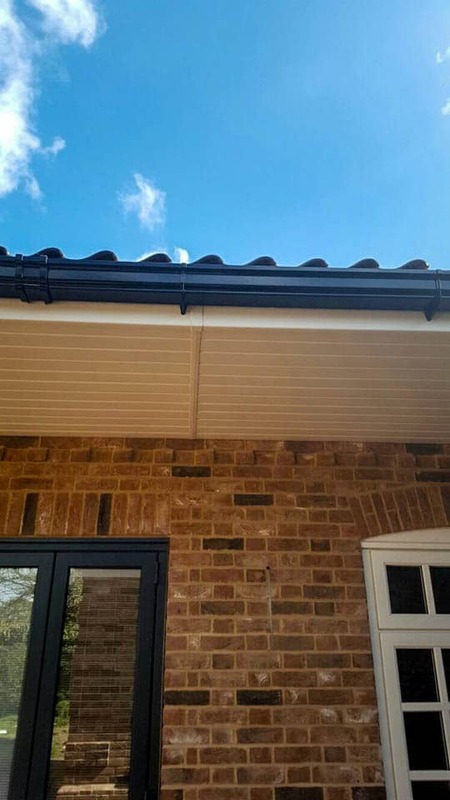 When installing the new Upvc soffits & fascias we slide the Soffit in to the wall cavity, this prevents wasps from entering the area between the back of the wall & the soffit board.